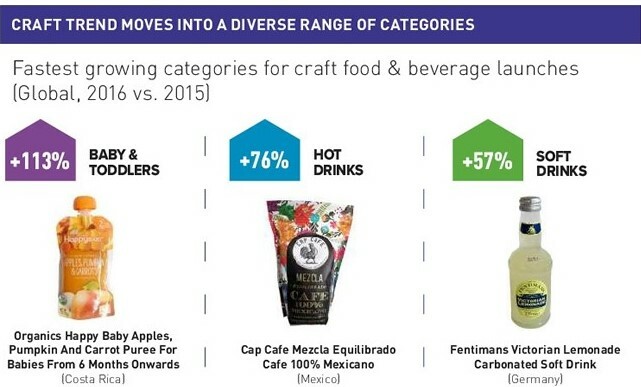 05 Jun 2018 --- Craft beverages, functional and botanical ingredients and clean label have long been dominating NPD in the beverage space for some months. Contributing to this is the world of social media, which backs the current wave of food and drink related content as a form of self-expression and the debate around beverages – what’s in them, what’s new and so on – continues to dominate the sector. The craft scene looks set to expand into other beverage categories, both alcoholic and non-alcoholic as well as different food categories. 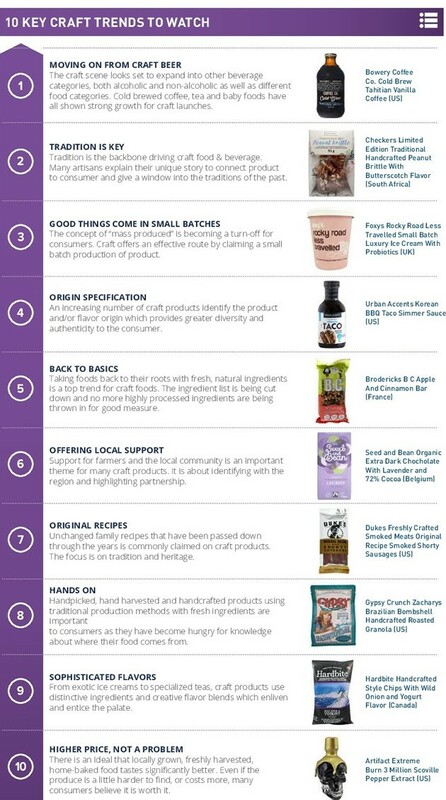 Cold-brewed coffee, tea and baby food have all shown steady growth for craft launches and now big companies are turning to craft and this is evidenced in NPD. Click to EnlargeAccording to data from Innova Market Insights, there has been a 40 percent increase in CAGR in craft food and beverage launches tracked from big companies (2011-2016). There has also been a 22 percent increase in CAGR craft food and beverage launches tracked from small/medium sized companies (2011-2016). The way consumers interpret the concept of “natural” food can be expanded even wider. The current craft-beer movement has drawn attention to other products that people view as the result of honest artisan manufacturing – as authentic and natural in the broadest sense of the word. In keeping with this development, WFSI (an ADM business) has applied the craft-beer character to beer-mix beverages. The company recently presented new concepts with especially well-balanced nuances of hop flavors. “When we discuss the question of products with additional potential for the brewery industry, there is no way around the topic of craft beers. There is no official definition of what constitutes a craft beer. That does not matter, however: they have grown to become a significant movement in and of themselves. The trend began in the US, and in the meantime, it has conquered Europe and is spreading at a nearly exponential rate,” Jochen Kistner, Head of Product Management Beverage, WFSI tells FoodIngredientsFirst. “For a long time, the only sources of craft beers were individual small breweries that wanted to establish a new market segment with new Click to Enlarge creations. Nowadays, though, breweries of all sizes are now focusing on the 'craft' sector. It has long since become standard practice to sell them through all the regular channels of distribution, and sales are no longer merely regional or even local. Now even discount retailers have special campaigns in which they showcase craft-beer products so they can keep up with current trends,” Kistner explains. WFSI offers natural extracts, flavors, colors and juices for pure craft beers. These ingredients can be integrated during the brewing process or added to the beer before or after filtration. This opens up opportunities, not only in the field of traditional artisanry but also regarding efficiently testing innovative products and leveraging new market opportunities. Sophisticated nuances of honey, barrique and caramel give these concepts a finishing touch that will help breweries reach new and especially premium target groups. Bell Flavors & Fragrances do not see the craft movement as a one-hit wonder either and are strongly convinced that this trend has come to permanent. “We continuously develop new solutions and concepts for craft beers but also for other beverages, such as lemonades or ready-to-drink iced teas, that are adopting the craft movement. On this account, Bell has created a very successful concept for refreshing craft lemonades, which completely meets the needs of today’s consumers, such as combining premium ingredients, like botanical extracts with inspiring natural flavor varieties. The concept also combines the desire for more authentic recipes and a homemade character with new and innovative taste varieties, such as Rose & Blackberry including a Rose Blossom extract or Pomegranate & Mint, using a Mint Extract,” Julia Hübner, Marketing Specialist for Beverages at Bell tells FoodIngredientsFirst. Furthermore, Bell is currently working on a continuance of our innovative beer building block concept. 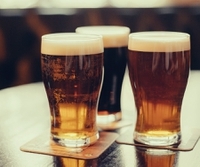 This concept provides technical solutions for breweries thanks to the use of natural hop and beer type flavors to round off lower or non-alcoholic beers or to simplify the brewing process. “With a special focus on craft beers, our flavorists have developed a range of characteristically natural craft beer flavors, e.g., Gueze or IPA to create a unique taste experience for beer lovers. Due to the expertise of our beverage flavorists and application technologists, we were able to create a range of innovative hop-type flavors, mimicking the latest craft beer hop-types, such as Simcoe or Cidra. The launch of this concept will be this summer and we are looking forward to showcasing our novelties soon,” she reveals. In times of an increasingly fast-moving, modern society, growing globalization and the universal availability of consumer goods, consumers often are drawn to points of the past. The past is associated with authenticity and reliable quality and creates a feeling of familiarity and security. Origin, nostalgia and trust nowadays count as a seal of quality and form an emotional bond between consumers and products or brands. This becomes visible in the continuing vintage/retro trend and above all in the craft movement, which is now spreading from the beverage category towards other food sectors, such as sauces or snacks, according to Hübner. Thanks to the enormous versatility and taste innovation of craft beverages, Hübner believes this trend will have a long life expectancy in the beverage industry. “This is reflected in a constant stream of new beverage concepts and innovations on the market, mainly driven by growing NPD-activity within non-alcoholic beverages, next to beer and Western European countries, next to the ever-growing market of North Click to Enlargeern America. Consumers will continue to be offered a similar diversity as in the non-craft segment,” she notes. 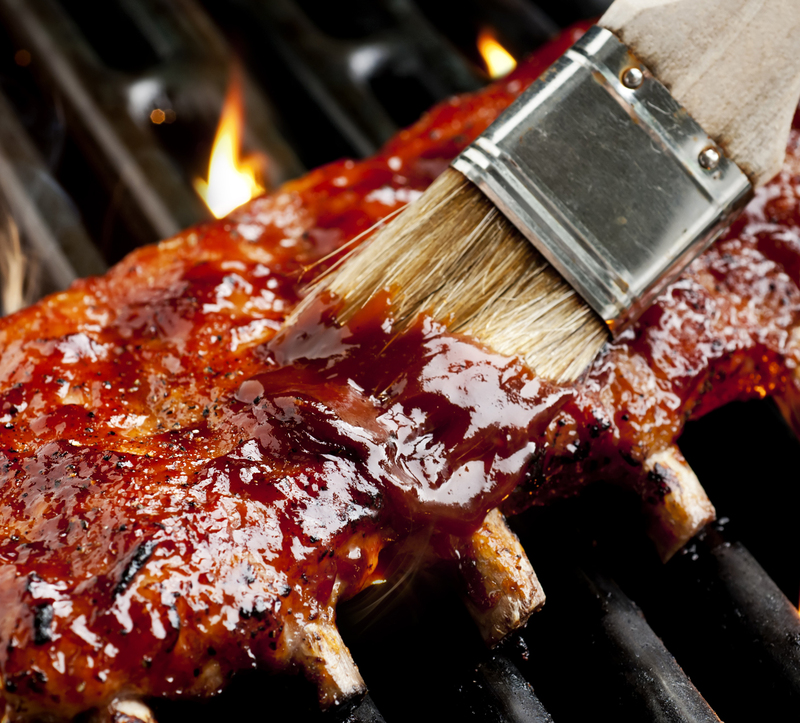 The craft trend also creates a lot of novelties around BBQ varieties. Bell also pushed the whole topic a bit further and created a Craft Beer & BBQ seasoning for snacks, combining aromatic-hoppy beer notes and smoky BBQ sauce. “Looking into the culinary area, there are numerous taste varieties, combining the taste for authenticity with gourmet-inspired dishes. We see a lot of potential in truffle flavor, as truffle creates a very rich intense and unique taste experience,” Hoffman concludes.